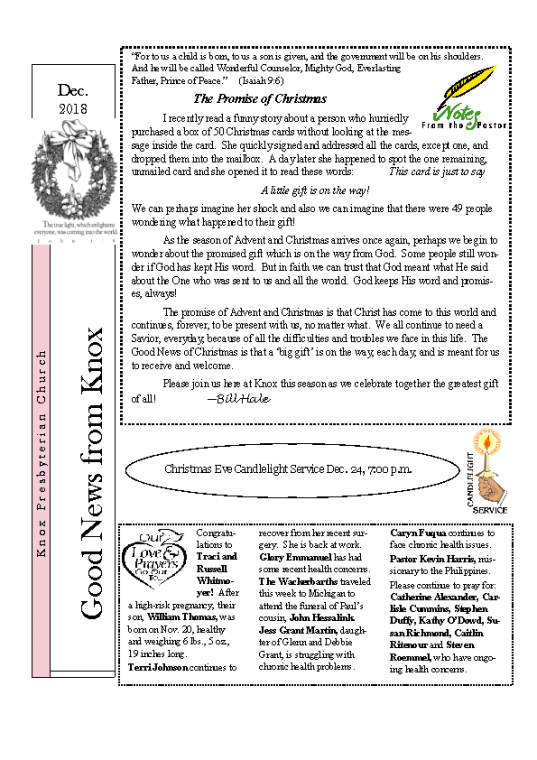 The Knox Presbyterian Church newsletter, Good News from Knox, is published monthly during the school year from September to June and then once for the summer (July/August). 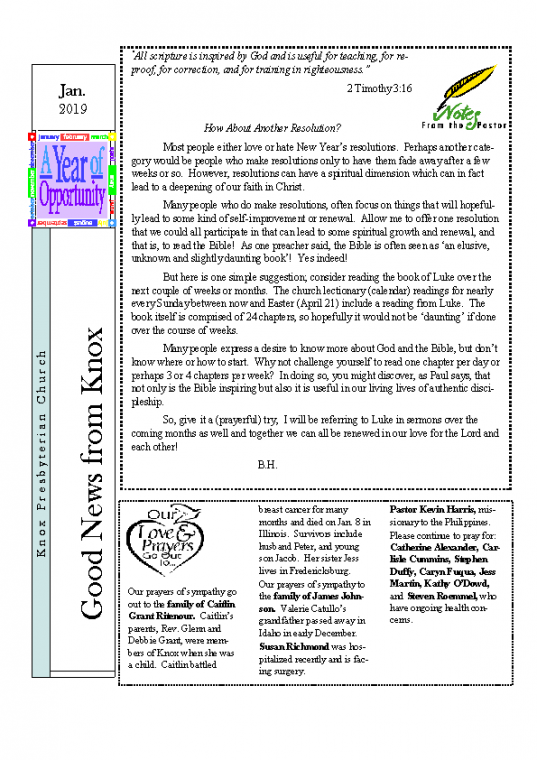 Good News is issued near the start of the calendar month. 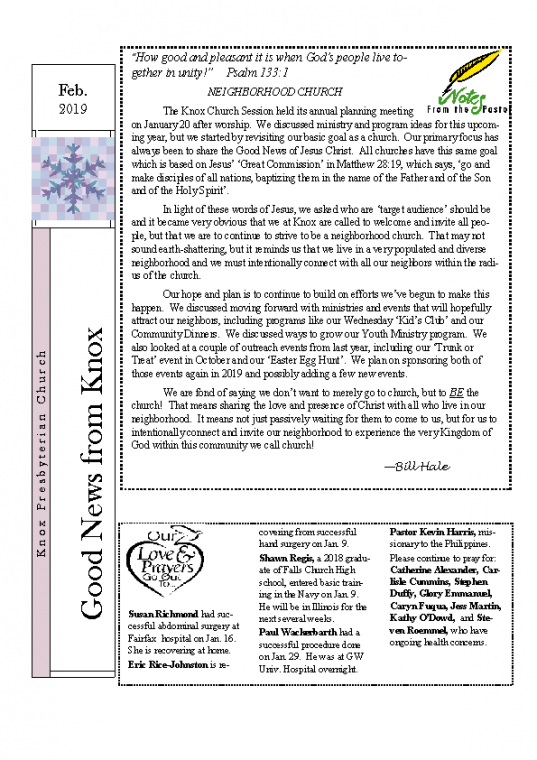 You may subscribe to and receive a pdf copy of the newsletter either by submitting the form below or by contacting the Knox church office at knoxpreschurch@vacoxmail.com. 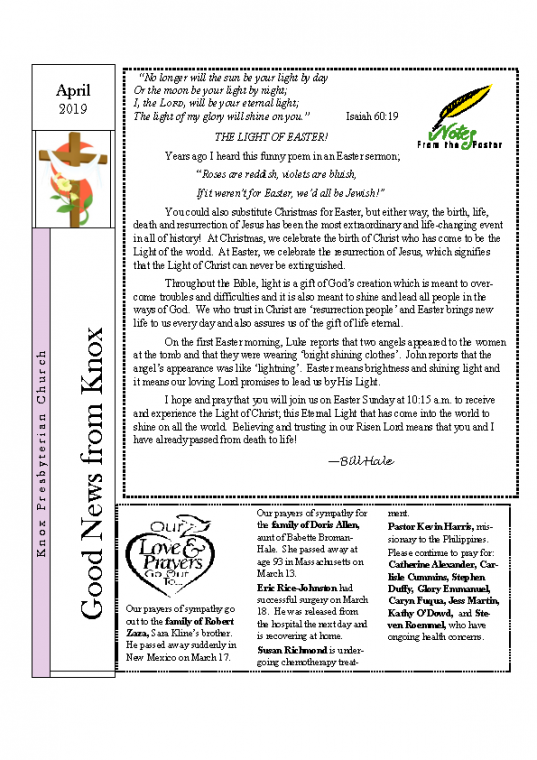 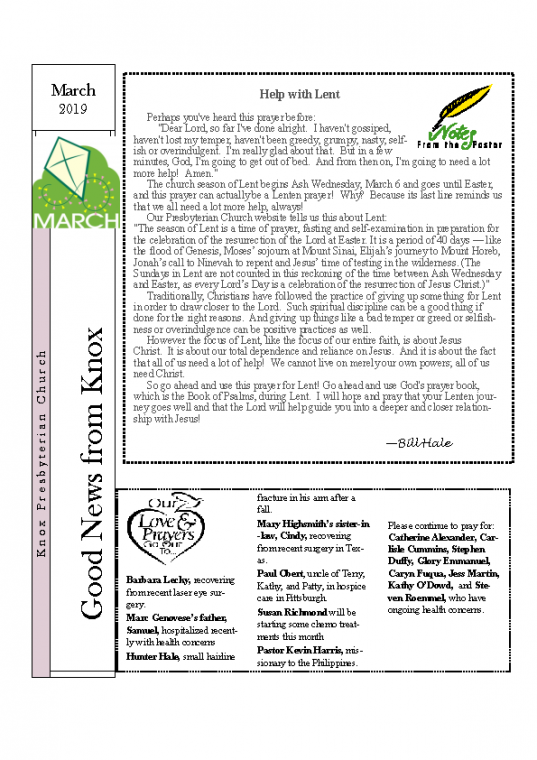 Please subscribe me to the monthly Knox Presbyterian Church Newsletter "Good News from Knox." 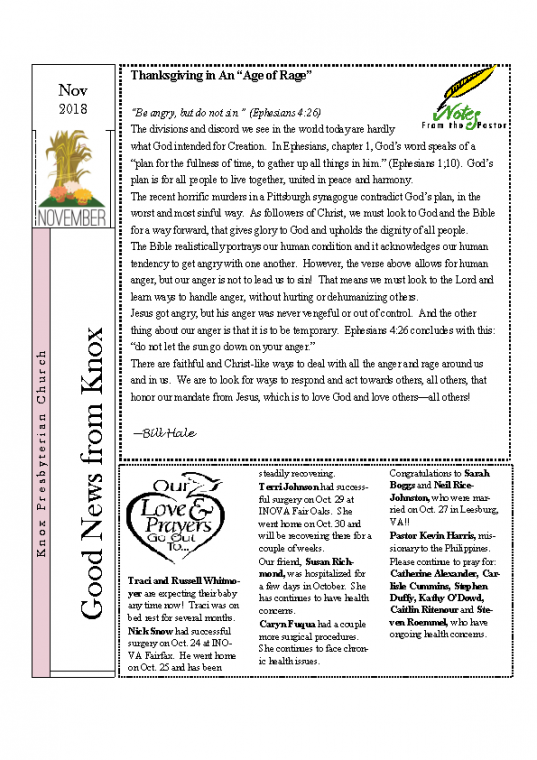 I have provided my email address.